The Economist Intelligence Unit has released its annual livability index for 2016, and the top five countries match last year’s list: Melbourne (Australia) at number 1, followed by Vienna (Austria) coming second, Vancouver (Canada) in third, Toronto (Canada) in fourth, and Calgary (Canada) with Adelaide (Australia) tied for fifth place. The index measures 30 factors that fall under five categories: security, education, healthcare, culture & environment and infrastructure to assign a score out of 100. Melbourne has topped the list 6 years in a row, with the report noting a strong correlation between the cities at the very top of the index. 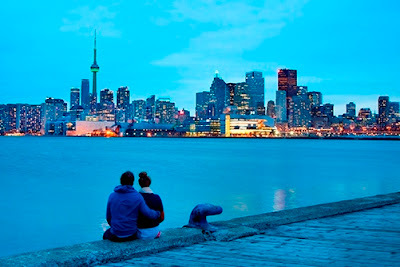 Six of the top 10 cities are in Canada and Australia, the report went on, which have a population density of 3.9 and 3.1 people per square kilometer, respectively. The report also noted that violent crime may appear to be on the rise in some of the top cities, but the statistics tell another story. In Vancouver, for example, the murder rate increased in 2014 after a record-low 2013. But those two years “were still the years with the lowest national murder rates in Canada since 1966,” the report said. However, increased instability over the past year has caused a drop in the score of nearly a fifth of the 140 cities surveyed. Ten of these cities are in western Europe, notably Paris, which has suffered multiple terrorist attacks. Some American cities, including Atlanta, San Francisco and Chicago have also dropped down the rankings after spikes in civil unrest. Most notable to suffer was Sydney (Australia) which dropped out of the top 10, not because of declining quality of life, but because of recent fears of terrorist attacks. But there was good news for New Zealand, as its largest and most populous city, Auckland, was ranked 8th in the world, above the high ranking European cities of Helsinki in Finland and Hamburg in Germany. Overall, CANZUK cities continue to impress economists with their high quality of life, educational standards and healthcare, with low crime rates and stable infrastructure developments. Not only do these nations share similar cultures and ancestry, but they also share exceptionally high social and economic standards that make the introduction of free movement a worthwhile pursuit. With similar standards of education, crime prevention, economic growth, healthcare and infrastructure, there is little risk in “one-sided migration” occurring from adopting free movement between the UK, Australia, New Zealand and Canada (for example, citizens of Australia would not migrate en-mass to Canada to improve their quality of life, as quality of life is already exceptionally high in Australia). This would also apply to citizens of the UK and New Zealand. With our free movement proposals gaining support every day, the Economist Intelligence Unit’s report provides further evidence why our four nations would benefit from freedom of movement, and how compatible we are (from an economic and social perspective) so as to re-introduce open borders between our four nations.